We have reached the point where buying Google’s education Chromebooks means buying Play Store enabled Chromebooks by default. The combination of keyboards, touchscreens, and mobile apps makes these devices game-changing for students. Since then, the number of Android apps that work on Chromebooks has increased. We are not yet at the point where all the Play Store’s entire catalog works on Chromebooks but there are plenty of Android apps that do perform well. Even Apple Music works on Chromebooks. So does Netflix and it’s even better than using the web version. Not taking full advantage of Android apps on Chromebooks is like coaching the Golden State Warriors and benching Kevin Durant. Sure, the team will still be great but you are not taking advantage of your full capability. All G Suite admins in districts with Play Store enabled Chromebooks need to enable the Google Play Store in the Google Admin Console. Without any further ado, here are another five Android apps for Chromebooks that can do good things in the classroom. Apply effects such as black-and-white and sepia-toned filters to parts of images with a smart pen tool. In my Richard KNICKSon digital breakout, I made the background of a Nixon image black-and-white using this feature. Professional level image manipulation for free! Smart pen option works well with a basic stylus. Having to press the fullscreen keyboard button to access the “+” button, also known as the “create new” button. Working on borders with the smart pen tool can be tricky. Live Transcribe is Google’s mobile app that is what it says it is – it transcribes what you say. This has great potential for Deaf students, students with learning needs, and students learning English. Watch as I demonstrate. Default black background is great for contrast and conserving battery life. Doors opening for Deaf students, students with learning needs, and English Learners. No way to stop the recording. The app is still in beta. Toontastic 3D is Google’s mobile app for creating short animated videos. It is very easy to use. Watch as I demonstrate. Ability to add custom backgrounds and characters. Teaches students story structure and lab reporting. Want students without signed media releases to star in video? What about students without world-facing cameras? Toontastic 3D saves the day! Very elementary geared. Secondary teachers could use this with students but it might be a hard sell. It is almost impossible to control character motion with precision. An intro sequence that plays every time the app is opened. Tap the screen or click the mouse to get past it. It is reminiscent of pressing START to get past the opening sequence of a video game. I love the aforementioned Adobe apps and the Google Jamboard app for drawing on Chromebooks. I work with middle school students who have access to all of these apps. They prefer another one for drawing, Ibis Paint X. I think they like it because Ibis Paint X allows blurring and smudging of ink and images. Watch as I demonstrate. Unique blurring and smudging tools. Watch that storage open up! What a great way for students to learn the inner workings of devices and take ownership of their health. Watch as I demonstrate. Users still need to clear Android apps’ cache. Read on. Students do not need to install every useful Android app onto their Chromebooks. Education Chromebooks will run out of storage with a deluge of Android apps. One way besides Files by Google to clear storage space to clear out each Android app’s cache. Watch as I demonstrate how to do this on a Chromebook. Thank you for reading. Want to know if your Chromebook can run Android apps? 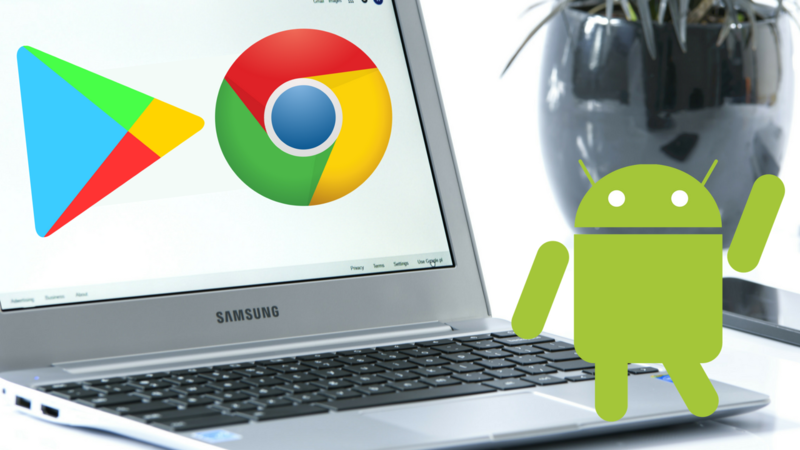 Here is the list of Chromebooks that support Android apps. How would you use these Android apps with your students? Please comment below or tweet me, @TomEMullaney.